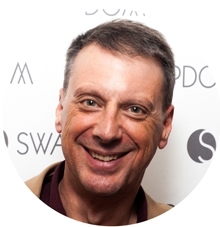 Petros Georgopoulos, Swapdom CEO, explains to us @ GeekyCorner how their multi-party swapping platform helps you give new life to your secondhand clothes. Can you explain in a few words the idea behind this "circle" swapping platform and how it all started? 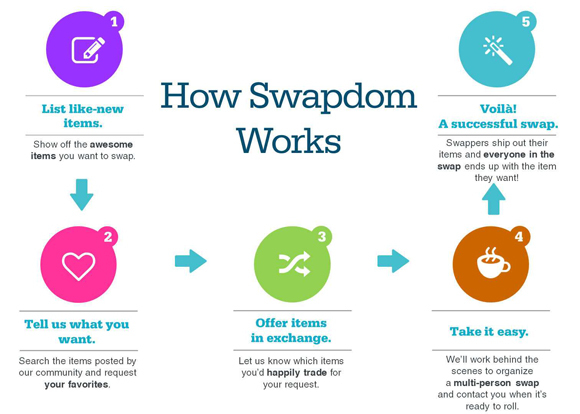 Swapdom is an efficient tool that finds multi-party swaps. Our algorithm is a vital component for peer to peer exchange. We firmly believe that the sharing economy is our home, a space to develop peer exchange environments for physical goods. You simply post items you'd like to trade, then you browse for items you'd like to receive in exchange. Then the Swapdom algorithm does its magic to figure out a loop where everyone gets an item they've requested. What kind of items would people find on Swapdom? At the moment you can find clothing, fashion accessories and children's gear, including everything from kids' clothes to toys. In the future we plan to expand further into home goods and more. The possibilities with this type of technology are endless! What was your Aha! moment with Swapdom? My "aha" moment was when I realized that the classic form of swapping where two swappers attempt to exchange items with one another is rather inefficient as the chances of each person wanting what the other one is offering at the time are rather slim; sizes differ, tastes differ, etc. Moreover even if they find two fashion items to exchange, the two swappers enter a bargaining situation where they have to mutually agree that it is a fair exchange. Swapdom is unique in featuring multi-way swapping, and changes your perception of what swapping is. It is a fundamentally different experience. 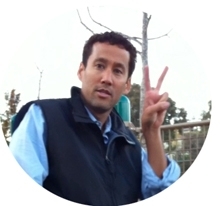 What's your plan for improving the user experience and attracting new users? We are constantly updating our site and outreach strategies. We are coming out with an app soon that will make accessing Swapdom even more convenient and also have a strong ongoing media campaign and relationships with top bloggers, journalists, and more. We also make sure to stay on top of our social media chatter and consumer feedback. How is this service different from other similar auction sites like eBay? There's no monetary exchange involved; you swap items on our site. It's part of the emerging sharing economy. The item you're exchanging actually acts as your currency. Is Swapdom entirely free to use? Swapdom is free to register and list items. You simply pay for the cost of shipping plus a small, built-in $1-2 service fee. Can you briefly describe the team behind Swapdom? We have a great team in both Greece and the U.S.We have everyone from technical geniuses to social media and marketing gurus. We believe this really is a team effort and it takes all of us to make it work. My biggest mistake is something that was unavoidable for me, even if I did it all over again. It was starting from Greece...not the ideal place for attracting capital for this kind of startup and not easy to build the right team. This has brought complications to our effort which we had to address often at the cost of time. Be sure of yourself and your product and be prepared for a lot of hard work and fun to match. Surround yourself with a good team, don't be afraid to network, and make the most of the latest technology. We just launched a kids and baby gear marketplace where, through our unique algorithm, it's now easier than ever for parents to swap unwanted items and land great finds in return. Also, as mentioned before, we also have a Swapdom app in the works that should be available soon!